Greetings! Welcome to the 800 Laws Website! We are your source for all your questions regarding the many aspects of the law. If you find our content to be educational and would like to learn more, please feel free to hit the subscribe button. Subscribers are given early access to the site’s latest content. Learn the laws in 800 ways! There’s no specific law forcing an individual to terminate a marriage a specific way. It’s possible to end a marriage calmly and stay friends, limiting your emotional and financial damage. Or you can choose to fight it out in court due to the damage that has been done to your life by your previous partner. There are multiple ways to terminate a marriage, and not all states recognize all methods. For this reason, it’s important to determine what the laws are in the state that you will be divorcing in. 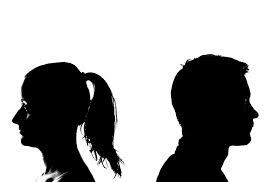 Dissolution of Marriage Dissolution is the legal equivalent of coming to an agreement on all issues and then moving on with your life. It is totally private and everything is in the couple’s control except for the final judgement. This step becomes part of the public record and is handled by the court system. The process begins with a written separation agreement that lists out your mutual agreement on parenting, support, and all property. Second, you’ll need to file for an official petition for dissolution, which is your legal request that the court end the marriage. You should only be required to attend court for a short hearing a few months after filing this petition. Divorce Divorce is an option when you and your partner cannot come to an agreement, or if one of you doesn’t want the marriage or will not participate in solving the issues within the marriage. Different states have different grounds for divorce, some of which declare which party is at fault, others that state that no one is at fault. If one party files and the other doesn’t respond after being served, the divorce may be considered uncontested, depending on the laws of the state. Often a hearing will take place. Legal Separation This action typically only lays out the responsibilities and legal rights of each partner while they are living in different places. These legal arrangements aren’t full divorces, but they may specific how debt is divided, as well as parental rights and responsibilities. These agreements give spouses some time away from one another in order to think about what they want to do with their marriage, while giving them an agreement to begin to follow in case the marriage does wind up ending. Annulment This procedure allows a couple to declare that a marriage was never legally valid, that it never existed in the first place. There are numerous grounds for annulment, including such things as one person being underage, one partner being mentally incompetent, one person still being legally married, and multiple other reasons. These may vary depending on the state, but are often similar from one area to another although worded slightly differently. When it’s time to end a marriage, it’s important to take a close look at what your legal options are in your state. Then you can decide what option works best for your individual situation, so that you can achieve the best results possible in a tough time. For more info visit the website or also you can contact us. 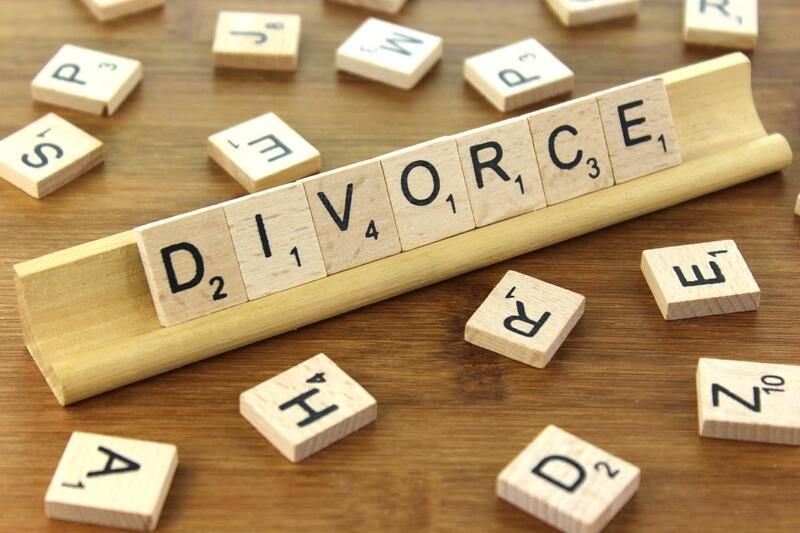 Divorce can be quick and cost only a few hundred dollars or it can be a long drawn out affair that ends up costing more than the divorce settlement is worth. Unfortunately, in most cases the second option seems to be the norm. Follow these 3 tips to avoid a lengthy and expensive divorce. You don’t need a lawyer unless the divorce is complicated or your spouse is contesting the divorce and has legal representation. 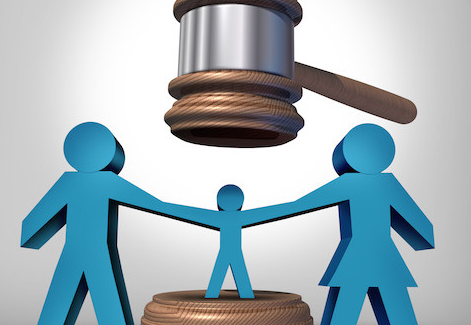 It is also recommended to have a lawyer if their are any issues regarding custody, support, visitation etc, involving minor children from the marriage. It is however recommended to consult with a lawyer for legal advise before proceeding with a divorce, no matter how simple the case may seem. Keep in mind that many lawyers offer a consultation free of charge after which they will request a retainer. A retainer is there to cover all the general costs of the divorce and does not include court fees or other associated costs. 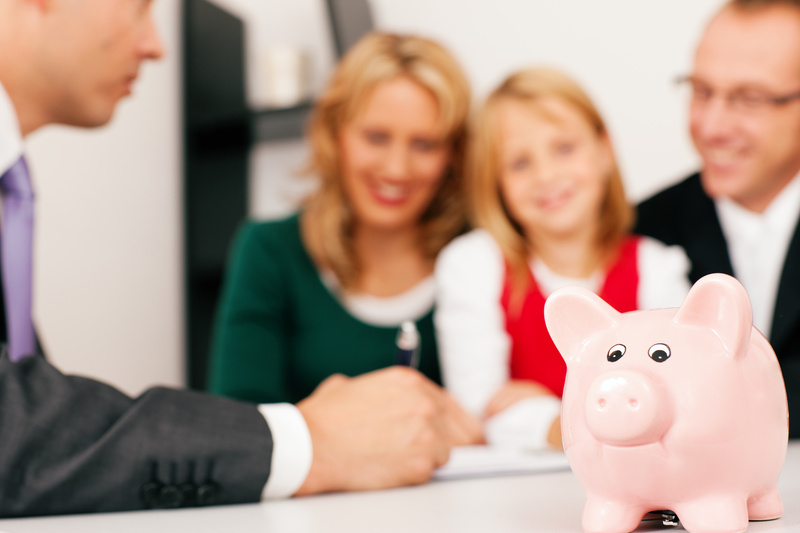 Once the retainer is depleted, you will be billed for any additional representation. Be aware that lawyers charge an hourly fee. This means that you will be billed for a full hour regardless of whether you made use of an hour or not. Some lawyers may break this down into 15 minute or 30 minute increments but the same rule applies. They also charge for responding to emails, text messages and phone calls as well as for sending letters. 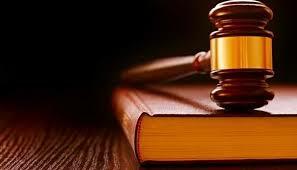 Contact your lawyer only when absolutely necessary and make sure that you write down all your questions and queries regarding the case so that you will make the best use of your time. One of the greatest obstacles to a quick and inexpensive divorce is the emotional baggage that is involved. It prevents you from being objective and your ability to compromise in order to reach an agreement quickly. So put your emotions aside and be as objective as possible and let go of the issues in the divorce that will not be that important down the road. Let your lawyer do the talking for you and negotiate on your behalf if you are too emotional to be objective. Understanding the divorce process as well as the factors that will affect a speedy but successful outcome is important. Collect proof or evidence of the reason for you divorce as well as all your documents such as your marriage certificate, prenuptial aggreement or any other documents that may pertian to the divorce. These papers and information should be ready from your first consultation with your lawyer. Keep in mind that the way in which you were married will determine how assets and libilities will be distribited upon the dissolution of the marriage. There is no getting around the fact that divorce is a process and will take time and money. However, it is up to you just how quick, painless and costly your divorce will be. To know more about us visit the website at https://deanhineslawyer.com/divorce-lawyers-columbus-ohio/. We live in an uncertain world. Each day individuals, whether consciously or unconsciously must make decisions that are based on an assessment of risk. Each time we cross a bust intersection our minds, often without our conscious knowledge – but certainly with input from our various senses is evaluating the risk to life and limb. Businesses have often been likened to living organisms – they grow, feed on certain inputs (be they cash or raw materials, or even intellectual capital) and in certain circumstances – although this is stretching the metaphor – reproduce, spawning subsidiaries and spinning off related businesses. 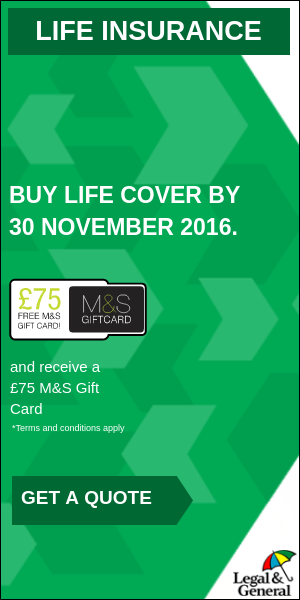 Also Read about Home Insurance . This is at the core of risk management.The classic definition of risk management encompasses the idea that an organization must identify and assess the level of risk that it faces – either through its own activities or external forces. Once these risks are identified they must be prioritized. Following this process the resources of the business must be used to minimize those risks and continually monitor the ongoing impact of risks. This process is designed to increase opportunities and assist the business in reaching its strategic goals. The classic risk management model consists of five steps – although there are variants which have up to seven steps the five step approach is widely accepted as the foundation of effective risk management. The first step in the risk management process is to identify the circumstances where risk provides a challenge. Classically this involves an environmental analysis where the relationship between the business can be mapped to the environment within which it operates. The second step is the identification of specific risks that are associated with the threats that were identified during the environmental analysis. One of the challenges during this phase of the process is to keep focus on risks that have a probable likelihood of impacting on business activities. By losing focus (there is the risk of a meteorite striking a factory operation – but it’s an extremely unlikely event) the organization may not be able to put in place plans to mitigate various types of risk. 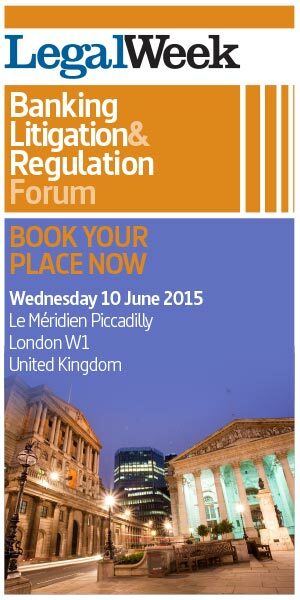 These types of risk can include; legal, physical, financial and ethical risks. 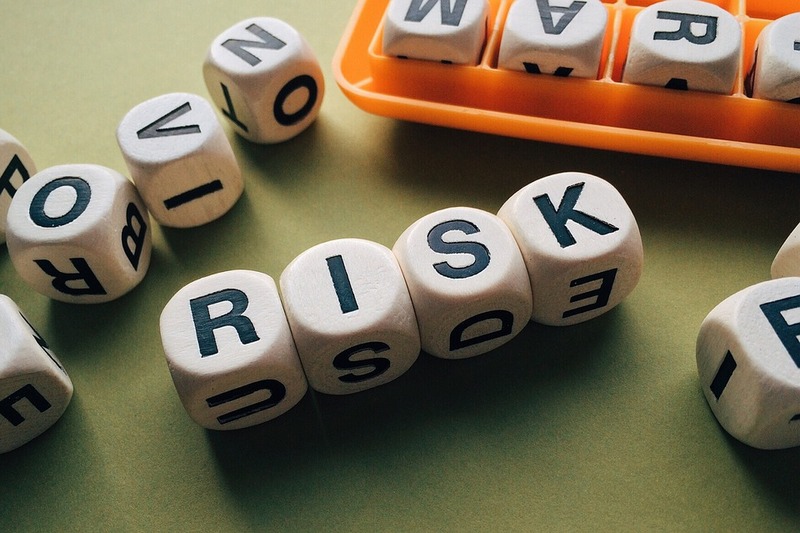 Third step in the process is risk evaluation where the likelihood of the risk is judged by a thorough understanding of the nature of each type of risk as it pertains to operations. The two factors that must be taken into account are the severity of the risk and the likelihood of occurrence. The fourth step in the process is risk control. This may involve direct instruction or action to remove the source of risk in order to prevent negative consequences. There is an accepted hierarchy to the actions associated with this step. This is (in order of priority): the elimination of the hazard, substitution of the hazard, isolation of the hazard, and exercising control. there are also a number of tactical steps that can be taken such as the provision of the correct equipment to mitigate risk. 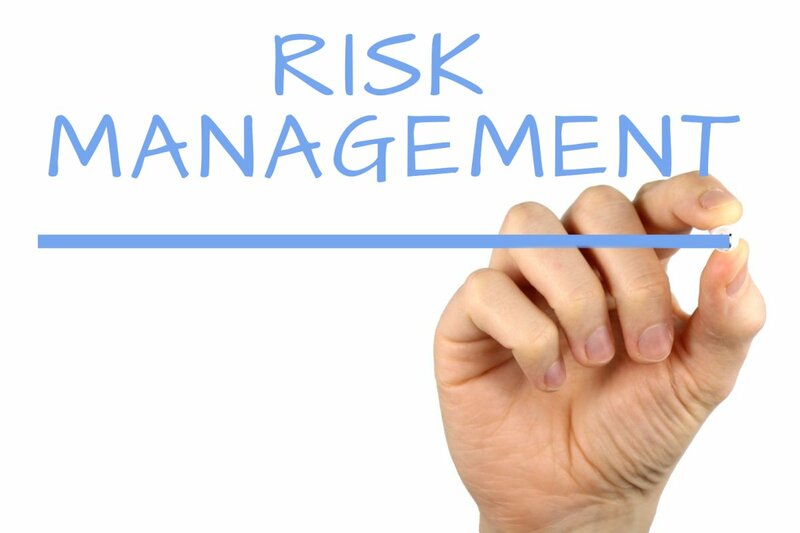 The last step is the all important task of monitoring and setting up a process of review to ensure that the risk management process is effective and continues to identify new risks and monitor the evolution of existing risk under the categories that have been identified. Just like all areas of the law, divorce is not that much different. You have to have very specific documents in order to file a divorce. It is true, it is possible to file for divorce on your home and have things work out quite well, but this is only in cases where there isn’t very much to lose, when both sides are not truly contesting each other and when things were perfectly amicable. Take a look at your particular marriage situation and you probably will quickly understand that none of those things are true for you. You probably also understand that your spouse is going to get an attorney, probably someone who’s really good and who will fight really hard for your spouse. If you do not have an attorney on your side, matter how good you are at collecting the right documents needed for divorce, things will not turn out well for you. If you want things to turn out well for you, to spend time finding the right attorney to represent you. A divorce definitely is not the time to try to play do it yourself attorney. Instead it is time to do the proper research to find the right attorney. As you can see, there’s a pretty much standardized set of documents that are needed in any type of divorce case. It is better to allow the qualified attorney to handle this for you. If you handle the documentation incorrectly it can cause a lot of problems for you. You can take a much longer time to have your divorce completed, it can cost you a lot of hardship financially these things are not done well and would just be a huge waste of your time. 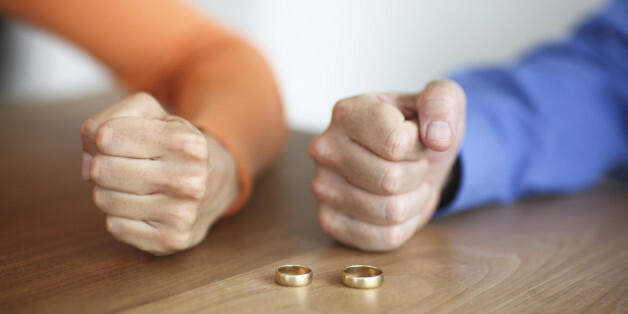 If you want things to be handled professionally, quickly and properly, then find a qualified and experienced divorce attorney who could handle the documentation for you, who can represent properly, will fight for you, will be a true advocate and make sure that you protect it when it comes to the divorce law of our state. The only people who should ever consider representing themselves, or to married people have decided that hey does make a clean break, let’s not give attorneys involved, they don’t have any money, you don’t want any money from each other, there are no children involved, there are no joint bank accounts, there’s nothing making us financially, emotionally or mentally together. Will quickly find that that type of divorce really happens and it probably doesn’t represent what you are particularly going through. Also know that at any moment, your spouse could decide to hire an attorney and you will be left in a very tough position, one where you were not properly protected, one where you are not properly represented, one where your spouse has all of the advantages because they have hired a professional and all you know how to do is file the paperwork. So get a proper attorney and things will turn out well for you. As you go through your divorce, if you believe that your attorney is not helping you very much at all, you may want to consider using a divorce attorney that is much more competent. Some people are apprehensive about changing attorneys because they don’t want to start from the beginning. However, if they don’t do so, they could end up losing much of their assets and also may not be able to see their kids. These are things you have to keep in mind as you are going through the divorce process, especially if you have an attorney that seems to be spinning their wheels. Here are the top reasons that people decide to switch out their existing family law attorney for another one that will do a better job. The Top Reasons That People Change Out Their Attorneys? The first reason that people change their attorneys, regardless of what they need them for, is they feel that they are paying them too much money. They may have thought that the situation would have been resolved weeks ago, but more paperwork it’s filed, and yet the situation does not improve. Another reason is that they are not confident in how the attorney is proceeding. This is very common, even with family law cases. If you feel that you may lose the ability to see your children, or that you may lose most of your assets in the divorce, you may want to start looking for a new law firm as quickly as possible. Finding a better divorce lawyer isn’t as hard as you would imagine. It’s just a process that will take a little bit more effort. We all assume that the lawyer we choose is going to be just like all of the others, but that is seldom the case. As you are monitoring their progress, and the amount of money you are spending, you may find that it is time to part ways and get someone else. You may start to speak with people that you know that have gone through a similar situation, especially those that have used a law firm that is in your immediate area. Finding one is easy because of the Internet. Simply search for another attorney that is a specialist with your particular situation. Whether this is a criminal law, family law, or some other type of attorney, you need to evaluate all of the new ones and retain one that looks better than the one you have right now. You will look why should i hire a divorce attorney, feedback they have received from other people that you know, and look at public online postings. The testimonials they have received can also help you make the right choice. Even though you may not want to switch lawyers midstream through your case, it might be the best decision that you can make if you are not confident that they can perform as they have stated. It’s always better to have a local attorney that has represented others that are in similar situations. If they have great feedback on their website, or if you can find someone that can vouch for their abilities, you will want to switch over as quickly as possible. How Long Does It Take For You To Receive Your Replacement Social Security Card? How long does it take you to get your social security card? Well, the answer is 7-10 business days, no matter how you apply. Wait, there are different ways to apply? There sure are, and you can look at all of the options available to you. You may choose to, or have to for the matter, go to the SSA office to apply. However, the result is the same, as it takes about two weeks for your card to arrive by snail mail. That speaks volumes about how you need to be planning ahead of time if you will need your social security card for business reasons. What do you need your social security card for? Well, you’re going to need it for quite a few things, but those reasons can be spread out over time. It could be that you need it now, but you will have it packed away for quite some time after that. You do want a safe place for your card because you want to make sure that it isn’t lost or stolen. Plus, considering it is made out of paper, you have to be sure that it stays in good shape. It’s not easy taking care of a paper social security card if you always keep it on your person like people do picture identification. Perhaps that is why you have had to apply for a new social security card. 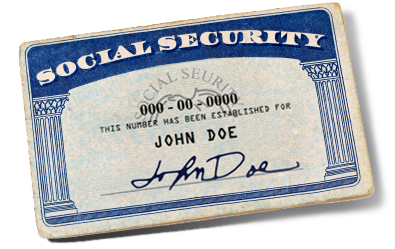 The technical term is a replacement social security card if you are simply replacing your old card. All you need is one that reads the same way as the other one did. That has happened to me. My last social security card was damaged and needed to be replaced. It had a rip at the top and a rip at the bottom. That taught me not to have my social security card on my person unless it is absolutely necessary. Sometimes you do need to have it with you. Maybe you are about to be attending a new hire orientation program at a place of employment and need to show your social security card. If that’s the case, congratulations on your new job. Of course, you are going to have to wait for your card to show up in the mail after 7 to 10 business days in order for you to show it to the employer. If you are just now starting your job search, get to the social security office now. Or, you can look into the option of applying online. Just don’t procrastinate about getting that replacement social security card because employers will tell you that you can’t be paid without it. Did you know that? You will find out all kinds of things about your application for new social security card as you go through the application process. You might learn about how having an online account with the SSA comes in handy. And soon, hopefully no later than 10 business days from now, you will receive your new social security card from the SSA. If you are facing a situation where you owe a lot of taxes, and you don’t know how to handle this, you can speak with a tax attorney to help you. These are individuals that can negotiate what could be a sizable discount on the amount that you owe. It is possible that these attorneys will be able to resolve this within a few weeks. It just depends on what your situation is, and how much you owe the government. The following tips will make it easy for you to pay off all of your taxes in a reasonable amount of time. To find the best attorneys, you are going to have to do a couple of things. You may initially look through the phone book to see what companies are there. You can then go on the Internet to find others that might be nearby. Based on how long they have been doing this type of work, and if they are available, you can usually find a lawyer that will be willing to help you with your problem. How Long Does It Take To Resolve These Issues? It’s going to take at least a few weeks for them to prepare all of the documents. If they are busy, it could take a little longer. What you will know is that you will be able to pay everything off, and be good with the government, once they have come to a settlement. It’s a way of removing all of the stress from your life. It can sometimes be very difficult to come up with the money. You may work for a company that does not take out your taxes, and after a couple of years, you are going to be facing some problems. It will probably cost a minimum of several hundred dollars to get started. As they look into your situation, it may cost a little bit more. 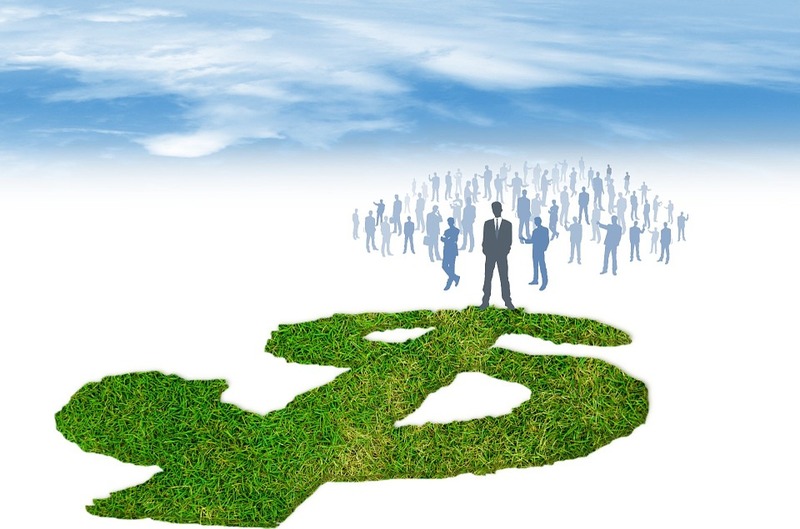 You may find one that will give you a substantial discount on helping you. However, you need to work with a law firm that also has a good reputation. For example, you may get a substantial discount, but that does not mean that they will handle the situation properly. Good reviews for these lawyers are absolutely needed. You can then feel confident when you pay your money that they will resolve this issue. Finding a legal consultation with tax attorney in the state of Ohio should only take you a few hours. You are going to contact them, set appointments, and eventually choose one of them to help. It’s a situation you shouldn’t stress about because they will handle all of these problems for you. You just need to pick the best one that can handle your situation. By the next month, you will not have a care in the world. You will be on a payment plan to pay off the government. It’s the only way for some people to resolve their tax situation. It can be done, but you need to choose the right tax attorney that can make this happen. Do you want to get a divorce? You may not be happy in your marriage. If you’ve tired to work things out and nothing has improved over a certain period of time, you might want to call it quits. However, you may be concerned that filing for divorce will cause a lot of stress and drama in your life. The good news is that there are several ways to file for divorce without all the drama and stress. The process all begins with contacting a professional divorce lawyer consultation. 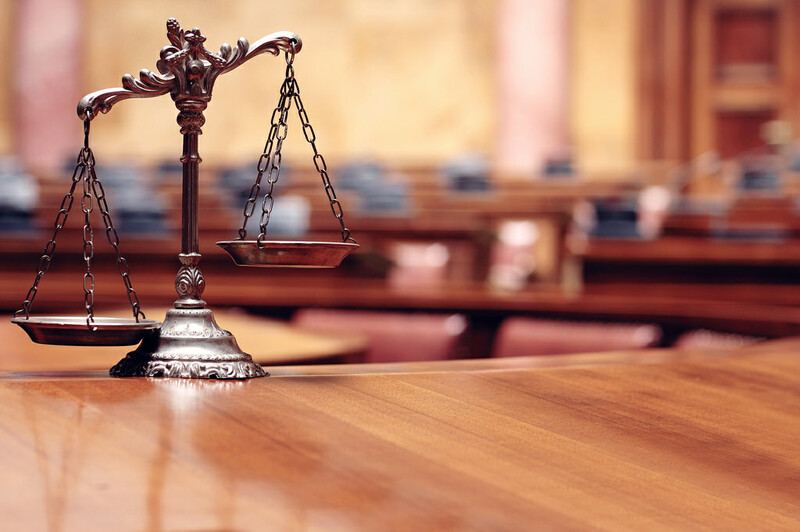 You’ll need to have an attorney to represent your side of the situation and to walk you through this lengthy process as easily and quickly as possible. It helps to have professional legal support and guidance when you’re going through such a difficult situation in your life. Attend a consultation with the divorce attorney of your choice. During that consultation, you’ll get to explain your marital situation and talk to the attorney about some of the different reasons you’ve decided it’s time to file for divorce. Your partner may have cheated on you, lied, and possibly even put you both into debt. No matter your exact reason for wanting a divorce, the attorney will offer support and answer any of the different questions you might have. If you’re completely sure you’d like to file for a divorce, the divorce attorney will then work with you to complete the paperwork and start the filing process. Your partner may be served papers containing details about the divorce. In some instances, individuals are upset that their partners no longer want to be with them, and some of these situations can get out of control at times. If you know that your former lover is going to get upset, try to avoid having direct conversations with him or her. Let your attorney speak for you and help with the mediation process. There are a lot of things that may need to be figured out, including who gets the home, who gets the vehicles, and how much time each parent will get to spend with any children if there are children involved. Although it may sound daunting, it’s easier if you’re willing to be civil and work with your attorney to take care of the situation as quickly and efficiently as possible. Going through a divorce may be a bit stressful, but it’s not something that needs to be dramatic or nearly as frustrating as most people think. 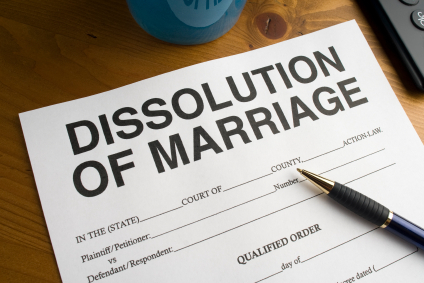 If you want to get divorce, make sure you consult with a professional divorce attorney. Resolving a divorce is not always the easiest thing to do. You may also be facing criminal charges where you will need to find a lawyer. Experienced attorneys can be found in every state. Regardless of where you are, there are certain things to look for when choosing an attorney. You may want to select an entire law firm that is well-known for representing people that are facing what you are currently dealing with right now. If you can find reviews of these different lawyers, this will help you make the right decision as you are searching for experienced attorneys and law firms. How To Evaluate The Ones That You Locate Online? Evaluating attorneys is a simple process. There are only a few factors that you need to be worried about. First, consider the length of time that they have been practicing law. Second, find out how long they have been in your particular area. Finally, find out how much they charge. You may also want to do additional research which will include checking the Better Business Bureau, or simply looking for a divorce attorney at what others are saying about these attorneys. If the one that you choose has excellent feedback, this is representative of the idea that they will help you win your case easily. Will It Take Long To Start Working With Them? It should only take you a few hours to show them everything that you have. In fact, you may set an initial appointment that will last an hour that will give you all of the information that they will need. After you have had a couple of appointments, this can help you in making a decision as to which law firm to use. You need to feel comfortable with the attorneys that you are meeting with. This is very important as you may be with them for quite some time. 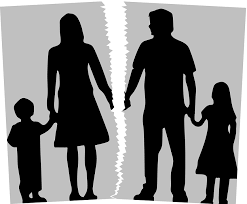 Whether you are searching for a family law attorney to help you looking for a divorce lawyer, or some other lawyer that can help you with a legal issue, there are many available right now. Your search online will lead you to several that will look very promising. However, you do need to set appointments so that you can sit down with each one of them to make your final choice. It may take a few days to go through all of them, but in the end, you will be able to work with the best attorney in your area to help you resolve the legal matters that you are dealing with currently. The law is an important aspect of our lives. We should respect it, but more importantly, all of us should have a clear understanding of it. 800 Laws is your legal advice database. We provide readers with all the information they need about the many different aspects of the law including divorce law and tax law.